Insurance can be a confusing topic if you are not in the industry. 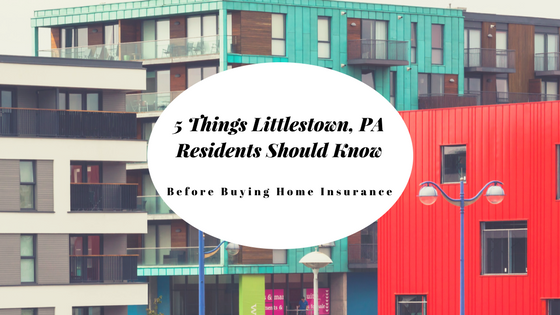 If you recently purchased a home in Littlestown, PA or you are shopping around for coverage, here are five things you should know before you commit to buy. Even if you do not have a mortgage company that is requiring you to have insurance, you still need it. Not only to be able to rebuild your house if there is a fire, but if someone is on your property and they slip and fall and become injured, they can sue you. You want to have that extra layer of protection. Insurance is designed to replace your home after a covered loss. Often, this will cost more than what your house is worth. Work with your agent to determine the replacement cost of your home. There are many insurance companies that offer homeowners insurance and they are not all alike. Be sure to shop around and ask for discounts. Some discounts available could include multi-policy, new home, safety features, and claim-free. It is easy to assume that everything is covered on a homeowner’s policy. This is not the case. There are several exclusions that can vary from policy to policy. Be sure to read your policy carefully so that you understand what is covered and what is excluded. Know what a standard policy covers. The policy should include at, a minimum, property, liability, personal property, medical payments, and loss of use (provides coverage for you to live elsewhere should you have a covered claim and can’t stay at your home). Rumbaugh Insurance is here to help you with all of these steps. Give us a call today and we’ll make the process easy for you.